So I had some exciting post last week. 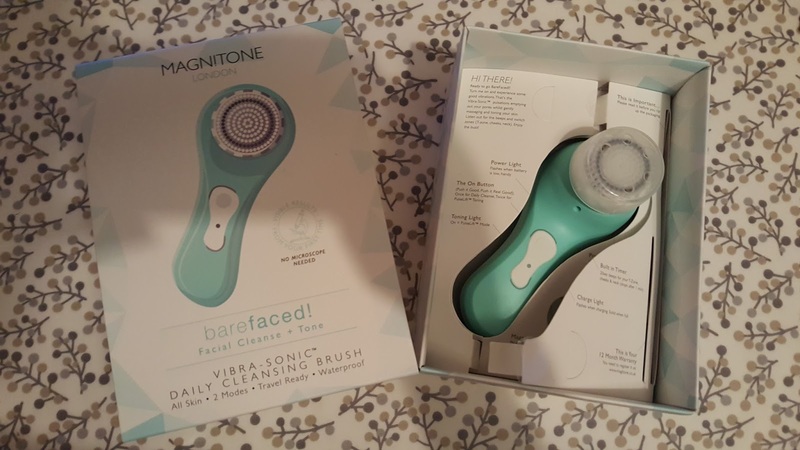 After moaning about my crappy pregnancy skin I was sent a Magnitone barefaced cleansing brush to try. This cool little gadget promised to cleanse and tone my skin so I was more than willing to give it a shot. After an overnight charge, it comes with a handy micro USB lead with a magnetic charger that just sits on top of the Magnitone to charge (OK, I admit I did spend a few minutes looking for a hole for the charging lead to go) I was ready to get to work! After a quick check of the instructions, which are super user friendly, I jumped in the shower and got to work. 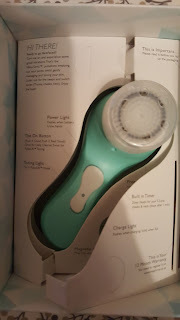 The beauty of this little tool is it can be used in the shower, so no faffing about washing your face separately, and you just use it with your usual facial cleanser. There are two settings, you simply press once for daily cleanse and twice for toning. Then you just let it do its magic! Just like with an electric toothbrush, you don't need to apply any pressure, you just let it vibrate and gently exfoliate. I tend to get blocked pores around my nose and chin so the Magnitone is perfect as it gets deeper into your pores without the need to scrub the life out your face! Once you're done, simply rinse, and dry. The Magnitone comes with a little case which is ideal for nights away. I then just apply toner and moisturiser as I normally would. 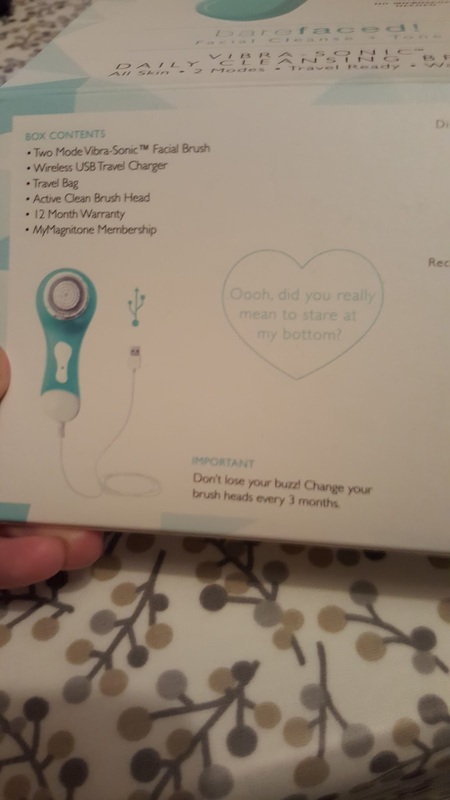 The charge seems to last a while, I've only charged once since I got it and brushes only need changing every few months- so low maintenance. "ooh did you really mean to stare at my bottom?" I've been using the Magnitone for a few days now, and can definitely see an improvement in my skin. It is definitely brighter and smoother. I will be continuing to use this simply because it's sooo easy and hassle free to use. By Christmas I hope my skin will be as shiny a bauble! This would be a perfect Crimbo present, and perhaps something we'd not necessarily buy for ourselves. Saying that, there is currently £10 off when you buy online at Boots.